The light of the moon on the fresh snow casts a magical glow to the countryside as Winter Wonderland strides into town. 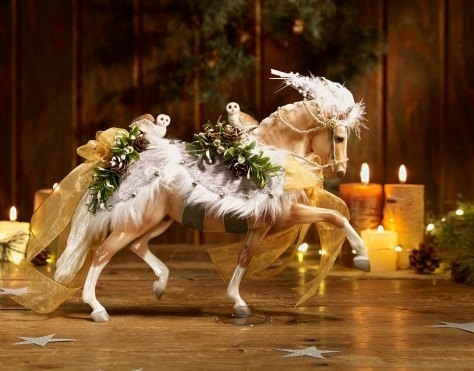 His sleek palomino coat shimmers as he carries his festive load of pine boughs and pine cones. 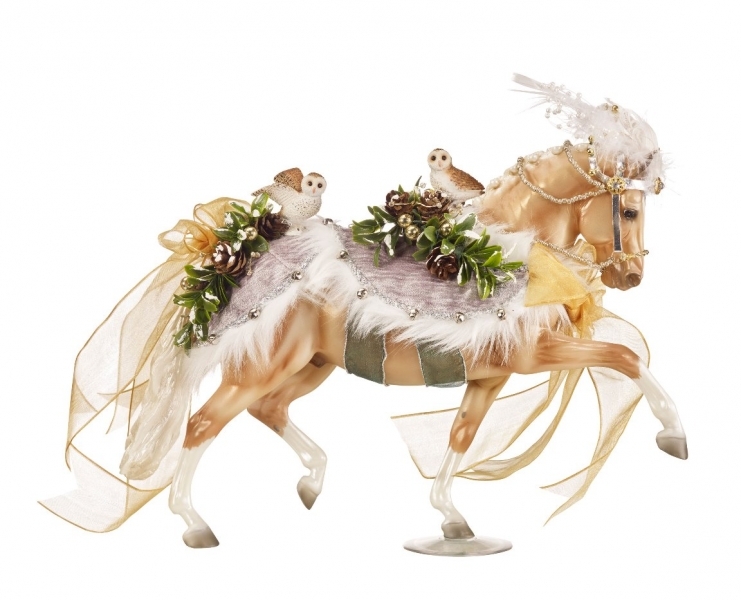 Breyer's 2017 Holiday Horse, he wears a wintry blanket adorned with faux fur trim, sheer ribbons, and beading. Two wintry owls are perched cheerfully upon his back, eager to help Winter Wonderland spread the joy of the season! Each collectible Holiday Horse is a hand-painted work of art, and has "Happy Holidays 2017" written on its belly. 1/9 scale Traditional collectible.